Don’t Kill, Just Kiss: What cadres can learn from Zambian politicians about love, hate and forgiveness | Elias Munshya, LL.M, MBA, M.DIV. The election is drawing very near. Politicians are busy pounding on doors and flying their helicopters. Lungu has been soaring from Chinsali to Mpulungu, and from there to Katete. Hichilema has also been taking provinces by storm. As the campaign intensifies, so has the alignment and realignment of endorsements. What is actually fascinating is how quickly politicians endorse each other and change their political affiliation. Looking at Lungu’s campaign team today, you would wonder whether this is the same PF team Sata left behind. Additionally, when you look at Hichilema’s team you would equally wonder whether UPND has suddenly become PF or MMD. Politicians that were insulting each other just a few months ago are now realigned and they are best of buddies. I am quite surprised at our politicians’ ability to forgive each other and tolerate each other when seeking political support from one another. In a sense, their sense of forgiveness and their lack of vindictiveness should be a model for all cadres in Zambia. It is quite strange though that, while politicians forgive each other and take each other for a drink, it is usually cadres who suffer the most bitterness. Cadres are busy insulting each other and killing one another for the support of the same politicians who are enemies today and yet close friends tomorrow. I am appealing to cadres all over Zambia, to desist from victimizing each other and to stop fighting each other because it really is not worth it. Politicians are not values worth fighting for. They change, make up, and then kiss each other while cadres fight and kill each other. It is time for Zambian political cadres to stop the killing and start the kissing. By using the word “killing”, I am really exaggerating it. Cadres are not literally killing one another, but they are fighting nevertheless. That fighting must stop and must be replaced forthwith with kissing. 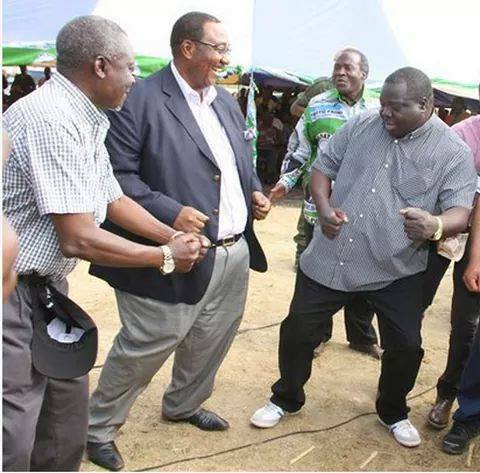 Let Zambian cadres belonging to different political parties dance together and kiss each other. Let them not be used by politicians for politicians themselves have no tangible vertebrae to stand on the very principles that these cadres seem to be fighting over. Who on earth ever thought that Geoffrey Bwalya Mwamba would one day become team Hakainde Hichilema? Isn’t this the same GBM who in Mazabuka stated publicly on radio that he had information that a named opposition leader (read HH here) had given money to retired soldiers to assassinate President Michael Sata? To make this even more bizarre, GBM further claimed that police was actively investigating this matter. When GBM was making this claim, he was our country’s minister of defence – a defacto number three in our cabinet hierarchy. Come 2015, this very guy who accused HH of such a heinous crime has changed colours to call HH “a great leader with common interests”. HH has embraced GBM and is using him a great deal in the campaigns in Mporokoso, Kasama and some other parts of Bemba lands. If HH can so easily forgive and make up with GBM, why on earth should cadres be fighting over HH or GBM or is it over PF and UPND? Frederick Chiluba had in 2001 dribbled Michael Sata in the politics of presidential succession. The fallout was so acrimonious that Sata went to form his own party that almost instantaneously became a threat to Chiluba’s MMD in both Luapula and Northern provinces. After Chiluba’s own personal fallout with President Levy Mwanawasa, he decided to burry the hatchet with Sata and the two became friends again. 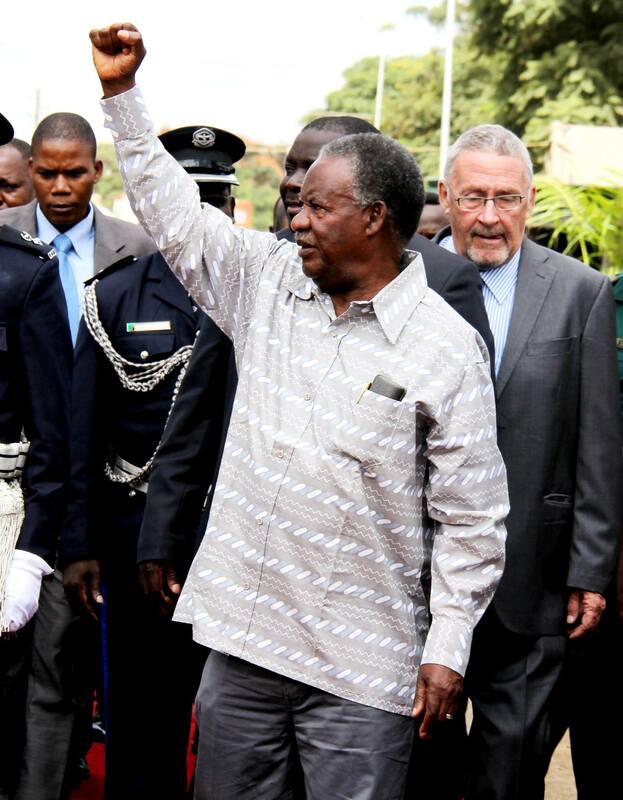 Chiluba offered support to Sata’s bid for the presidency in 2006. What cadres thought were enemies had chosen to forgive each other and move on for the good of their political interests. After the death of Levy Mwanawasa, Chiluba dribbled Sata again by switching support to one Rupiah Banda in 2008. Essentially, Chiluba had gone back to support Mwanawasa’s Vice-President who had been persecuting him. Talk of forgiveness or is it opportunism. While this went on, it was ridiculous that cadres continued fighting between Chiluba’s supporters and Sata’s supporters. At the funeral of Lemmy Chipili, Chiluba told PF supporters, “there are no permanent enemies in politics only permanent interests.” He was right, there is no reason for cadres to continue fighting when politicians can change their friends overnight or as soon as it suits them. Rupiah Banda’s 2015 endorsement of the Patriotic Front candidate Edgar Lungu should not come as a surprise too. Whatever the politics behind the gesture, it should tell cadres something when they see former political enemies embracing each other. 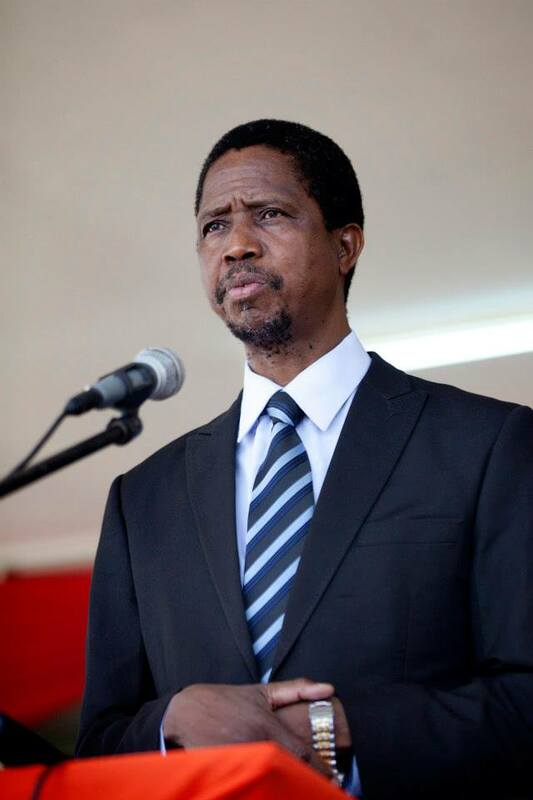 Imagine, how Lungu is simpering for Banda’s attention. Wasn’t this same Lungu who as minister of home affairs was as vocal in threatening to arrest this Banda? He was the enemy then, but now the two gentlemen are claiming to be “the leaders uniting for a united Zambia”. They have kissed. Many cadres fought each other over Banda and PF. Some may have even assaulted each other. But that was then. By showing pretended forgiveness now, these two leaders show how ridiculous it was for the cadres to fight each other those years back. Politicians are not worth any Zambian’s blood! We have heard that in Mongu, cadres were fighting. For a while social media had reported incorrectly that a UPND cadre had been killed. We urge cadres to stop killing each other and kiss each other instead. HH or Lungu are not worth killing another. Why should a Lozi in Mongu kill another Lozi in Mongu over the support of HH or Lungu who can get together and reconcile in no time if politics suit them? In Shiwang’andu, cadres descended on a helicopter carrying Maureen Mwanawasa and Mutale Nalumango. The duo had gone to the PF stronghold to drum up support for Hakainde Hichilema. I wonder why cadres should allow themselves to be used in this manner. Don’t they realise that if UPND formed government this month, the same Hon. Kampyongo could just change sides, get forgiven by Maureen Mwanawasa, and then get a ministerial post from Hakainde Hichilema? Where would that leave the warring cadres? Cadres must stop the killing, and instead start kissing one another. We all have had the fair share of insults from supporters of some politicians. I have decided not to hate or insult another for holding views different from my own. After all is said and done, we will all come together as one huge Zambian family, make up and kiss each other again. Why then should I hate another Zambian? Is it because of Lungu or Hichilema or Mumba? Bacepa sana, umuto walupwa tawitika. We shouldn’t sacrifice the familial ties of our Zambian commonwealth at the altar of wielding pangas for any political leader. It is not just worth it. Instead of hate, I am urging all to adopt the mantra of politicians by embracing all when it suits their politics. And our politics dictate that there is only “One Zambia” and “One Nation”. As such, let us put away those pangas and those swords! Mr. Munshya you;re great, this is a very good eye opener for all of us and not only cadres.Thanks a lot for sharing and keep well.